Sometimes our truth is tough - we delay our chance of recovery by believing that our plan, our idea, our story and even ourselves must be perfect before we can start. Title: Sometimes our truth is tough - we delay our chance of recovery by believing that our plan, our idea, our story and even ourselves must be perfect before we can start. Here's the problem: this one belief ruins our life. We come to believe that we have to throw in the towel, forget you ever had this dissociative thought and stop heading for the chocolate and all sugar you can find to stuff your feelings or regret down with a gluten free cupcake. You don't have to be perfect to get started. In fact, perfect doesn't exist in this world (explained by a zen master), so if you're waiting for yourself, your circumstances or your plan to be perfect - you'll be waiting the rest of your life. So, how do we find a solution for this lust for perfection? How to we stop perfectionism from ruining our lives? In this week's meet-up we break down how to stop this dissociation, stress inducing and waste expanding cycle and instead get on the fast track to living a life that you can manage. Making the leap from perfectionist to living a manageable life isn't as hard as you think. And, you can take small simple stages to get there. This week's topic can end days, weeks, months or even years of unnecessary pain and suffering from having unrealised expectations. Take the leap with us to end this vampiric cycle. feel free to leave a comment on our pages, groups and blogs and let us know how you plan to let go of the need to be perfect and get started. Or, if you've had success in this area, as a former perfectionist leave a comment share your success tips, too. 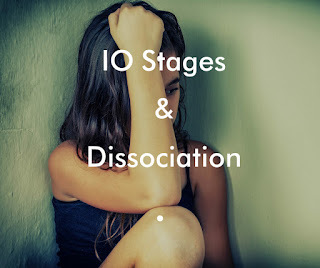 The Ten Stages gives you a “reality smack” your liked and respected, a lot but dissociated? 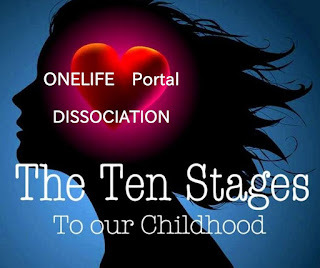 Title: The Ten Stages gives you a “reality smack” your liked and respected, a lot but dissociated? Maybe we make an observation about your/our life, or “called us out” for clinging to a particular excuse when we’re capable of so much more. We don’t always “enjoy” these little wake-up jolts. Sometimes, the truth can be painful. But from time to time? We all need a reality smack. We need people to hold us to a higher standard of behaviour — or else we tend to fall short of our potential. Today, we’d like to be that person for you. You were born to be happy, to be healthy, and to contribute to the world in a meaningful way. That’s what the Child Within you wishes for you -- and yes, will even support you in your happiness. You might be a manicurist. You might be a physical therapist. You might be a health coach, life coach, a yoga teacher or the director of a meditation centre. Or you might dream of starting your own purpose driven recovery program, but haven't taken the leap yet. No matter what you do (or dream of doing), you have skills and abilities that can make other’s lives better. It is your spiritual responsibility — as a human being — to bring your skills and abilities to as many people as you possibly can. It is your spiritual responsibility to serve at the highest possible level, helping people, teaching people, inspiring people, at every possible opportunity. If you hold back — by hiding, procrastinating, giving just 80% of your capacity at recovery, — you are essentially stealing from the people who need you most. I know that whatever you are currently doing in the world — whether you’re a stay-at-home mom with a cooking blog on the side, or the CEO of a multi-national corporation — there is always a way to serve (and by extension: Learn) more. We export loving-Kindfulness to our world and revel in its benefices.Over the Christmas period we have been hard at work for your benefit and health. The first stage is creating time for our recovery journey. Yes, the subject of this week's meeting is about "finding" time making a commitment to yourself, but that is kind of a lie. 1. They make other's goals more important than their own. 2. They waste time doing unimportant, yet comfortable tasks. That might sound harsh, but it's true. We want to tell you the truth because you have a big mission here at the ten stages and if you keep giving away your precious time to other's (without taking care of your goals), or if you keep wasting it bingeing on Friends on Netflix - you'll never live your purpose in your world. Learn how to take you time back, right now. And, speaking of taking time back - We have a big announcement. This year 2018 we are focusing on creating amazing content for you, in the form of a new meditation centre, a new broadcast, and many other exciting projects in the coming future. 2018 is a year of self-care, and we have to get real with ourself. As much as we would love to publish our dot com every day, when we look at our goals and our priorities for 2018, We have to be honest with ourself - We just couldn't do it and get all our goals done. Don't worry. You can catch up every day on Instagram, Facebook, and Twitter. Know that we value you as a Ten Stage member and that we are going to grow together through this experience. Only more truth and understanding will come from this. If you thought that Ten Stages was awesome before, 2018 will blow you away! With that said, over the next few weeks you will see more from us about an amazing free training from our peers that will take your recovery to the next level . This is not goodbye; it's actually a deepening of our relationship and a perfect fit with today's topic. Perhaps with me setting a new boundary with the ten stages, it may inspire you to set more boundaries in your life so that you can accomplish more of your goals, too. Yesterday I got a clear from the hospital after seven heart attacks and a new understanding of what time means and how to priorities. 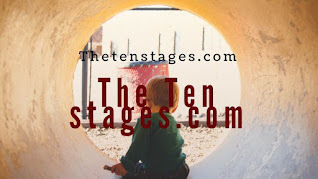 Ten Stages topic: other people's drama. Title: Ten Stages topic: other people's drama. 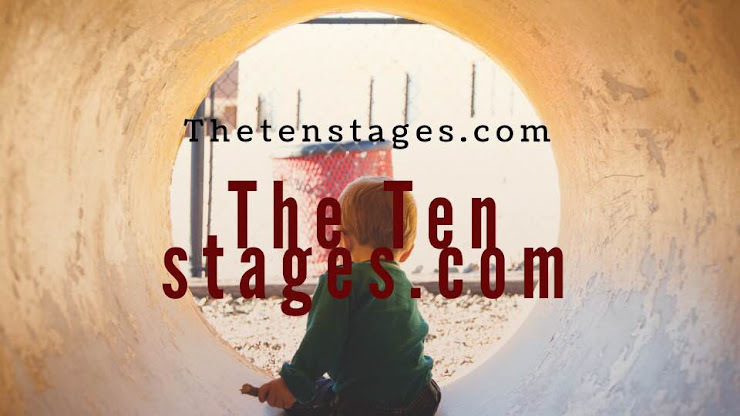 Ten Stages topic: other people's drama. You get caught it in. We all do. If you wonder why, or how to extract yourself from other people's drama, We've got a great message for you today. So many of us prefer to live in drama because it's comfortable. It's like someone staying in a bad marriage or relationship - it's actually easier to stay because they know what to expect every day, versus leaving and not knowing what to expect. The simple truth is that we get caught up in other people's drama to avoid our own negative dissociations feelings and problems. Don't let this pattern stop us from living our recovery in the ten stages, having the relationship we truly desire or friends who are positive and up-lifting. This week's meeting will teach you how to be drama free. When we commit to a drama free child within life, it's not a boring life. On the other hand, it's an amazing life. We focus on our own child within and stop judging others. We make time for our recovery. We finally get to know ourself. We get to experience a different kind of drama, which is the drama of living our childhood purpose. Don't let another moment be wasted being caught up in what's not important. 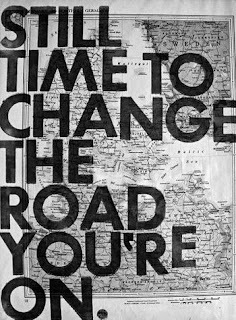 It's time to stay in our lane, work on ourself and go after our recovery. In the comments, let us know how you are going to stay in your ten stage fast lane moving forward. Also, if you've ever left an unhealthy dynamic like this and gone drama free, please share your success tips in the comments. Together we can grow into who we are meant to be. Here's to a drama free life. It's time to pull the cord and start anew. Labels: Ten Stages topic: other people's drama. All eyes on are on 2018 – and it’s time for life to change. Title: All eyes on are on 2018 – and it’s time for life to change. Most of have no idea of giant capacity we can immediately command when we focus all of our resources on mastering a single area of our lives. Right now is a natural time of year to focus on our goals, our progress and what you want to create in our life. 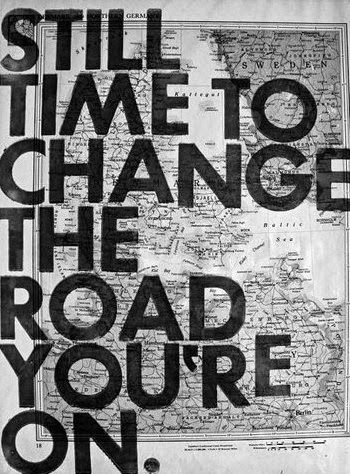 The truth is that we can change our life anytime, right now is a special time of year because we are all focused on the transition from one year to another. The problem is that most people will decide to change their life and then they won’t. They will get a gym membership for a year and go for a week or two. They will decide to eat better until a moment of stress when they go right back. They will decide to finally leave a relationship. But – they don’t. That’s the fate of most of us in this world. Why? Because we like to dabble in things. We like the idea of transformation, but we know little about the practice of transformation. Creating a new life or taking our life to the next level is hard work. It’s not about fad diets, exercise routines or the spiritual practice. It’s about consistency. It’s about movement. It’s about dedicating our life to creating a new life style, rather than setting some petty goal because you kinda sorta want to. And the truth is, if we want to live our purpose, if you want to give our gift to ourself, if we want to make life better for ourself and our family – then we need energy to do that. You can’t show up fully in life when you have a sugar hangover or if you are eating foods that you are allergic to. You can’t be present for your family if you are not engaged in giving your Child Withins gift to our world. Because behind our smile, there will be resentment and regret – and if we are feeling those feelings, we can’t be fully present for those that we love, and that includes ourselves. The best example we can set for our recovery is not to talk about what the right thing is, but to be it. It doesn’t matter how many quotes we put on Facebook or how many gluten free recipes we share, what matters is that we are taking care of ourselves. 2017 for me was a huge wake up call in the area of health and wellness. I’ve been processed sugar-free for a month, and it feels like I’ve been waking up from a long coma. And yes, I had a sugar-free Christmas – it is possible. How? Because I remind myself each and every day that there is a larger purpose to live for than emotional eating. I remind myself that I am worth feeling good and that I do matter. And not only that, that it matters what I put on my plate, because what I eat directly affects my ability to show up in my life. Better food in the body means better growth. Better food in the body means a better healthy life. Better food in the body allows us to deal with the emotions underneath and, as a result, do even more personal growth. And then that personal growth has happened, it will be hard, but life will be better for it. It’s important as you are thinking about 2018 to not just begin to think about your hopes, your dreams, your goals and your resolutions. What’s most important is to remember why you are setting these goals in the first place. When you link a strong enough why to your transformational path, you can move mountains. Make it about more than just you. Transform your life so that you can serve others. Transform your life so that you can bring even more love to your family. Transform your life for all the people who are counting in you and will be inspired by the example you set. When you tap into the why of your transformation and remind yourself of it daily – you start to create powerful momentum towards your goals. Labels: All eyes on are on 2018 – and it’s time for life to change. We can have sole ownership of our vision. And the Child Within will give us what we want within our vision. Title: We can have sole ownership of our vision. And the Child Within will give us what we want within our vision. We can have sole ownership of our vision. And the Child Within will give us what we want within our vision. What happens with most of us is that we muddy our vision with a “reality” that is not ours. Our vision becomes full of not only what they want but what everybody else thinks about what they want, too. Our ten stage work is to clarify and purify our vision so that the vibration that you are offering can then be recovered. We are on the cusp of a New Year. And while we are focused on parties for tonight and getting clear on what we want for next year, it's time for a wake up call. And that means having the courage to own what YOU are and striving to grasp it. Not what your parents want for you. Not what your spouse or significant other wants for you. Not what your family or tribe wants for you. But what you want for yourself. Labels: We can have sole ownership of our vision. And the Child Within will give us what we want within our vision. 2018 is almost here, and we at The Ten Stages are committed to making it the best recovery year of your life. Title: 2018 is almost here, and we at The Ten Stages are committed to making it the best recovery year of your life. 2018 is almost here, and we at The Ten Stages are committed to making it the best recovery year of your life. It's time to drop the resolutions and create a revolution in your life. One filled with purpose. Clarity. Your authentic self. A year where you no longer put other people first out of obligation, but decide that you don't need anyone's approval to be happy and recovered. How? By finding out why you were born and your hidden Child Within living it in the world each day. Are you confused about purpose? Are you unsure what your purpose is? Are you afraid to even start because the fear of failing is too much? Labels: 2018 is almost here, and we at The Ten Stages are committed to making it the best year of your life. 2018 is the year of recovery for you. Title: 2018 is the year of recovery for you. 2018 is be the year of recovery for you. It's about upping your game, revealing yourself, taking your power back and acting in a way where you start to trust yourself (perhaps even for the first time). It's time to make frustration and doubt a thing of the past. Now is the time to get unblocked and get started. You don't need to know exactly how to start, but it's important that you begin now. Once you start, you will be given more answers. 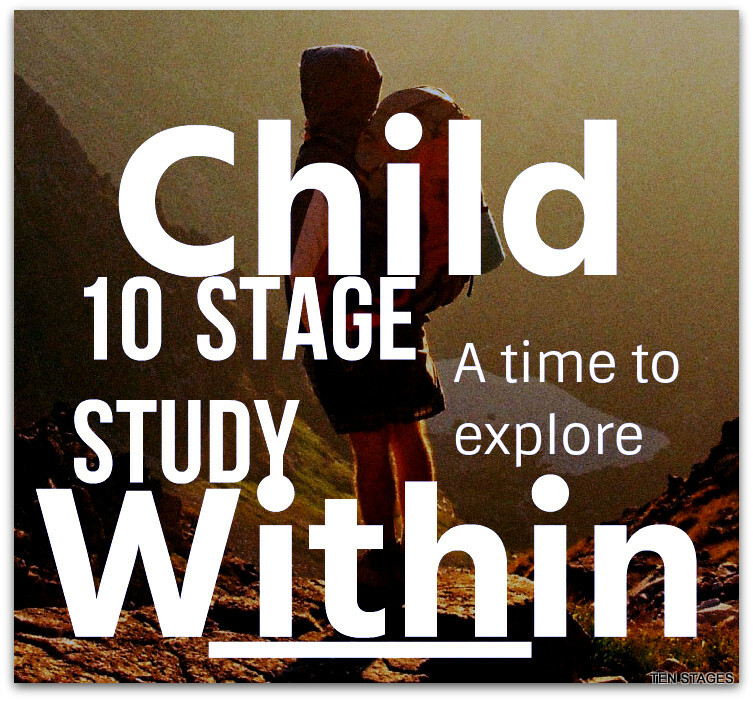 The Ten Stages is not laid out ahead of time for you. You get to discover, each intuitive day, what your path holds for you. Labels: 2018 is the year of recovery with the ten stages for you. We need to find the courage to say 'NO' to the shadow voices of people that are not serving us if we want to rediscover ourselves and live our lives with authenticity. If we aren't careful frustration can go from a feeling we feel every once in a while into our daily life. Things don't work out. We try and then we give up. We start out with recovery dreams and then life has a way of derailing them. After a few hard setbacks, it's easy to settle into frustration, fear and feeling stuck. And then it becomes easy to doubt your decisions and just get by in life. We give ourself permission to feel and experience all of our emotions. In order to do that, We have to stop being afraid to feel. Title: We give ourself permission to feel and experience all of our emotions. In order to do that, We have to stop being afraid to feel. We have big recovery dreams. We feel deep down in side ourselves that we have a big purpose. We know that we can make a massive difference in this our world. There's just one problem - We feel we don't have permission to do it. GO FOR IT - IT'S OKAY FOR YOU TO SHINE! The thing is, the world will very rarely give you permission to do anything other than just fit in. Your family may want you to stay the same, to not rock the boat. Ask question examine motivations. And so, timidly you choose to grow, but not too much or too fast - you don't want to rock the boat. Here's the thing - screw the boat. It's time to name it. Claim it. And own it as your own. 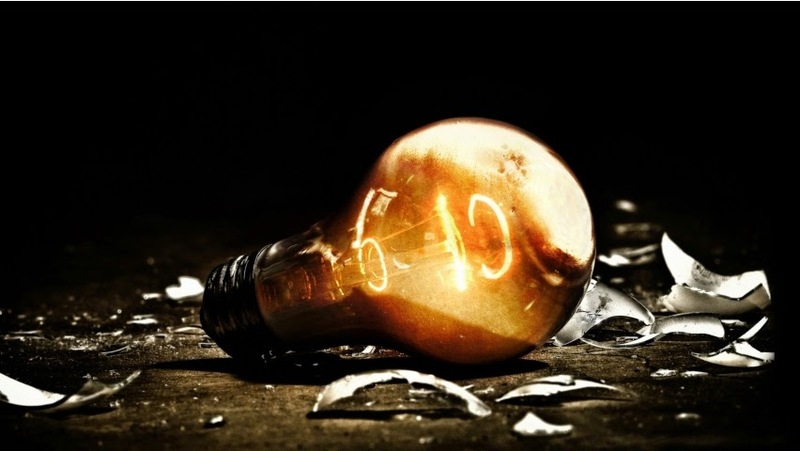 Our blog that has evolved into a dotcom today will inspire us to take our power back. After you've read The Ten Stages, make sure to leave a comment and let us all know what permission you are going to give yourself, starting right now. We already have gained permission to shine from our Child Within; now it's time to claim it for ourself. Claim it, today and start to work The Ten Stages in your life. Labels: We give ourself permission to feel and experience all of our emotions. In order to do that, We have to stop being afraid to feel. Loosing trust in our own essential nature our child within. We don't just mistrust our child within, we mistrust ourselves. We mistrust human nature itself. Title: Loosing trust in our own essential nature our child within. We don't just mistrust our child within, we mistrust ourselves. We mistrust human nature itself. Loosing trust in our own essential nature our child within. We don't just mistrust our child within, we mistrust ourselves. We mistrust human nature itself. The reason we are always talking about our child within is because this is where the mistrust first manifests itself, where it is formed. We are talking about all human beings. We are talking about society as it is. Labels: Loosing trust in our own essential nature our child within. We don't just mistrust our child within, we mistrust ourselves. We mistrust human nature itself. Welcome, to our new ten stagers, having found in the last five years that every single one of us who have made a decision to make contact with their child within have had a turning point and that turning point was where they made a clear, specific, unequivocal decision that they were not going to live like this anymore. Some people make that decision at 15 and some people make it at 50 and most will never take it at all.Make 2018 the year that you make contact and reap the benefits of renewed health. Truthful Ten Stages Intuition is coming to the knowledge of something beyond time, space, reason, the use of prior knowledge and the five senses. Title: Truthful Ten Stages Intuition is coming to the knowledge of something beyond time, space, reason, the use of prior knowledge and the five senses. Where can you begin answering our intuition right now? Decrease stress and improve overall well-being, the knowing/sensing of something beyond time, space, reason, the use of prior knowledge and the five senses. It is the gateway to our child within consciousness. When you wake up in the morning, start your day by giving yourself permission to be intuitive. Remember, intuition is your natural state; therefore, you do not need to work at it, but rather allow it to express itself through you as You. Intuition expresses itself through feelings – the language of the child within. By paying attention to how you feel, you become aware of your deeper child and its guidance. If what you are doing or considering feels good, gives you a sense of inner rightness, chances are you are in alignment with your child within. You may also suddenly feel nauseous or anxious which can be an indication that something is not right for you. When you feel your energy expand then you are in alignment with your intuition. You may feel energy expand in all parts of your body or in a particular part of your body like your heart centre. If, on the other hand, you feel your energy contract, then your intuition is most likely telling you to ignore or bypass this situation. In other words, when your energy contracts, it is your intuition saying No! The more you listen to your intuition, the easier it becomes to recognize and act on it. This includes becoming aware of how intuition uniquely expresses itself through you. Does it come through dreams, writing, yoga? Is it a sensation in your body? If so, where? Is it in your head, heart, calves? What kind of sensation is it? Knowing this will help you trust your intuition more quickly in the future. To trust your feelings, insights and energy state is the beginning of trusting yourself. We are taught not to listen to ourselves and to put our attention on what others think. To turn this around, start by believing that you do indeed know what is best for you; you know in your heart what you really want and what no longer feeds your child within. The path of intuitive living is the path of trusting and believing in your recovered child within. Intuition lies in the space between our discursive thoughts and the demands of our hectic lives. Making time for ourselves creates space to bring our attention back within where our intuition lies. Spend time daily in silence and self-reflection. Meditation, journaling, yoga and time in nature all contribute to connecting with the quiet voice within. This means making your Self a priority. If it helps, book You Time off in your calendar so that you become a priority in your life. Part of slowing down is simply taking a few deep breaths. No matter where you are, you always have time to do this. 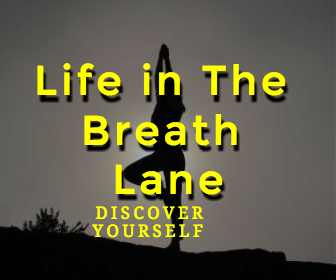 Just one long, slow deep breath serves to relax and connect us to our body where our intuition speaks to us. Next time you have an important decision to make, stop and take a few deep breaths beforehand and see how this changes things. Asking yourself questions opens you to your heart where your intuition lies. 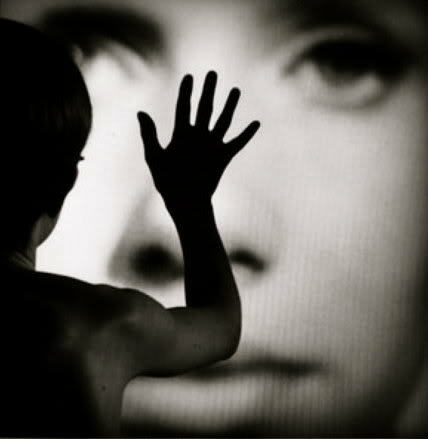 Once you have slowed down and taken a few breaths, try asking yourself the following question: What does my heart want? What is my intuition saying? What decision feels good/right? What decision would move me downstream? And then write down the answers that come to you. Blurt them out! Your logical mind loves to censor all the wonderful intuitive insights you have. Your capacity to be spontaneous is important because it lessens the chance that your logical mind will stop you. If you have an intuitive insight, blurt it out before the logical sentinel blocks your natural expression. Intuition requires few words to make its point. It conveys a great deal of information in short time. It may simply say to you, Move!, or Turn left. It does not ramble on like our logical mind, offering explanations and reasoning. It simply offers you insight, which you can choose what to do with. Use first person language such as I, Me, My, Mine and sensory words like Feel and Sense to convey your intuition. For example: “I feel”, “I sense”, “My intuition is telling me”, “My heart is saying”. If you say “I think”, you may find yourself accessing your logical mind more than your intuition. Honoring your intuition, honoring your true Self, takes great courage. It may not be easy in the short term to act on your intuition, but what price do you pay by not listening to it? Trust that nothing is revealed to you intuitively if it is not in your highest interest, even if that means making some tough choices (or easy choices) in your life. However your intuition guides you, it is always in service of your well-being. As much as it takes courage to act on your intuition, even before this, it can take courage to be honest with yourself and your situations. Acknowledging your intuition is about being real with yourself and what is true for you. It can be scary to be honest because of fears of loss, hurting others and change. But to deny your child within is the greatest denial of all. Therefore shine the light of truth into your heart and trust that your intuition is there only to serve you, even if it may appear otherwise to you and others. Following our intuition requires courage because it calls you to let go of control to some degree, and trust the higher flow of life. Nothing that you want is upstream. Intuition guides you to let go of paddling upstream and allow life to carry you instead of forcing your way through life with your plans and agendas. Life knows what you want more than you do. When you surrender, you will soon discover the magic that Life has in store! When the mind is full, it is harder to receive the insights of our intuition. Attachments to plans and agendas, combined with the fear of the unknown and the need for familiarity, all present obstacles to opening to the new and unexpected. Your job is to create space for your intuition by clearing away the clutter of your mind and the distractions of your life. When you do, you say an inner Yes to Life! Intuition continuously guides you to play at higher and higher levels. 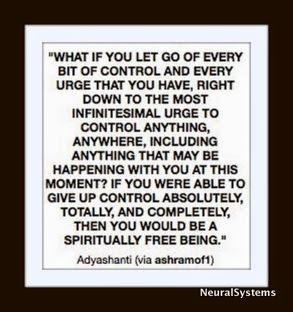 And as you do, you will walk away from what you thought your life was towards a life that has yet to fully manifest. In the meantime, you learn to trust the unknown and become comfortable with not having all the details. It is here that irrational optimism is a useful mindset. You can view your life as being an empty shell of what it used to be, or you can see it as being prepared for new, with exciting arrivals that only Life can see. As you courageously choose to venture down the path of intuition, and leave behind aspects of yourself and life that no longer fit, you will need time to be with yourself to help stay grounded in your transition and transformation. It may be tempting to distract yourself with busy activities, but your time alone will serve to integrate your new learning and provide further guidance to help you along your way. It will also support you to become comfortable without dependencies on other’s approval or guidance, which in many cases, won’t be useful at all. Watch what shows up in your life. Synchronicities, such as overhearing a conversation that provides insight, or the sudden appearance of new opportunities and resources; day dreams, like continuously thinking about a passion you’d love to explore; and night dreams in the form of guidance or messages. All demand a level of attentiveness and recognition that life is working to support you in mysterious ways. Pay attention and be open to receive. Your real job in life is not to say How, but rather Yes! Opening to receive can be challenging. It requires you to detach from your desires and trust that Life will help to orchestrate them. The more impatient or demanding you are, the more you limit the process of attracting what you desire. Take time to step away. Participating in activities that bring you joy, volunteering and serving others, all help you to focus on other things so that you can more easily remain open to the new and unexpected. This cyclical process of hearing, evaluating and acting upon your intuition is something you will continue the rest of your life. All three steps are important and it is here that intuition works with logic – intuition provides the insight and logic oversees the practical details such as time, money and resources to make your ideas concrete and palatable for others. When your day is over, take a moment to review all the decisions you made from your intuition and how they turned out. Similarly, ask yourself where you felt your intuition but didn’t act on it, and how that turned out. Doing this nightly self-reflection will help you see patterns in how your life unfolds when you do and do not honour your intuition and therefore your Self. Follow your passions and play regularly. Whether it is gardening, writing, camping or dancing, when you are enjoying yourself you move into alignment with your child within. Have you ever noticed that inspiration and fresh perspective come to you when you are relaxed and having fun? Remember, you don’t have to work at intuition. Play and allow it to come to you. Life is about enjoying yourself, and when you remember to play you remember your child within and why you are here. You say Yes to yourself, and to Life as well! WOW Moment, There's this idea that a lot of us believe; I'm not sure where it came from, but I'm pretty mystified by it. The idea is that somehow being on a recovery path will banish all fear and negative emotions from a person’s life. Guess what, it's rubbish. Title: WOW Moment, There's this idea that a lot of us believe; I'm not sure where it came from, but I'm pretty mystified by it. The idea is that somehow being on a recovery path will banish all fear and negative emotions from a person’s life. Guess what, it's rubbish. Have you considered that expansion and growth feel scary in recovery? If we aren't afraid most of the time, we aren't growing. There's this idea that a lot of us believe; I'm not sure where it came from, but I'm pretty mystified by it. The idea is that somehow being on a recovery path will banish all fear and negative emotions from a person’s life. Guess what, it's rubbish. If you are living a recovery life, you are probably going to come up against more fears than someone who is just coasting. If you are living a life on The Ten Stages Path you are going to become MORE sensitive to the emotions you feel, not less. Somewhere out there it's as if there's this promise being made that if you go on The Ten Stages Path, you are doing it right if you are only feeling happy ALL the time, never feel scared and can turn off negative emotions like a light bulb. This is not what having a recovery experience is all about. On the contrary! If we are on The Stages Path, we are inviting fear to come - because we are stepping outside our comfort zone! We are inviting our emotions to rise, because we are clearing away all the things that prevent us from feeling them. This is the path of the recovery student- to be courageous enough to FEEL fear and keep going! To not cut ourselves off from feeling however they feel - and know that there is nothing wrong with them for feeling a down emotion! This is what it means to be a human being! And as we do, instead of trying to always "be positive" and beat ourselves up when we don't achieve that impossible goal, we accept that life is a series of ups and downs - and while it's true that we can't always control life, we CAN give what happens an EMPOWERING meaning. And by doing that, we start to take our childhood power back. And we also begin to see that it is by FACING our fears that we grow. Growth, by definition, means we are constantly expanding beyond our comfort zone. And when we expand beyond our comfort zone - the natural experience is FEAR! This doesn't make you wrong or a failure, it makes you HUMAN and it's totally normal! 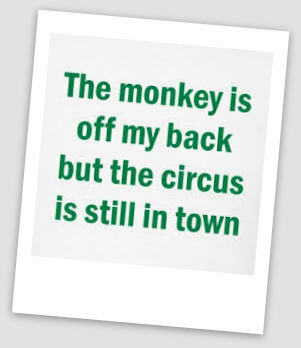 The monkey is off my back.... but the circus is still in town..Coming to a realisation to believe that we remain addicted even if we have stopped our behaviours for many years. Title: The monkey is off my back.... but the circus is still in town..Coming to a realisation to believe that we remain addicted even if we have stopped our behaviours for many years. The monkey is off my back.... but the circus is still in town..Coming to a realisation to believe that we remain addicted even if we have stopped our behaviours for many years. That our real addiction is to our dissociations escapist behaviour. Our roots of all our addictions. Several years ago we started wondering if the defences we commonly used could possibly be termed addiction. We knew they were habitual. If any one of these is missing in your memory of an event, then we are dissociating. “Behaviour” is the action associated with an event. in times of stress, we find ourself putting our hand on the back of our neck. We would do this unknowingly, with no conscious memories or reasons. This is a behaviour that originally we found meaningless. We become aware that when we do this, our mind would blank and we would lose all our thought processes. Affect is the emotions one has in response to an event. "An example of this happened to me recently when doing dishes. I became aware that putting my hands into the warm dishwater brought a feeling of terror to me. I had no idea why. I just had a sensation and an affect (emotion) but no knowledge.Sometimes I get knowledge of events from my past, but have absolutely no corresponding emotion or sensations to go with them." The affect (emotion) and sensations are walled off in a separate compartment. I can accept that this experience happened, but it certainly did not happen to “ME”, whoever “Me”might be. I can flip back and forth between feeling the emotion, or feeling the sensation, or having the knowledge, but I am unable to put them all together in one package and claim ownership. I have a simultaneous knowing and not knowing of disturbing information." Sometimes we dissociate sensation – We can have the knowledge that we were sexually molested. But we have had no physical sensations to go along with this – just the knowledge. We have a student who experiences the opposite – sensation is the one element she has NOT dissociated. She has all the physical feelings of events but no knowledge of what the events are. Whether or not you define yourself as having Dissociation, if you have experienced severe trauma and have not completely healed from it, you DO dissociate in a way which interferes with your ability to live your life the way you would choose. An alcoholic uses a chemical to dissociate; a good dissociative doesn't need alcohol. Our minds can do it for free! 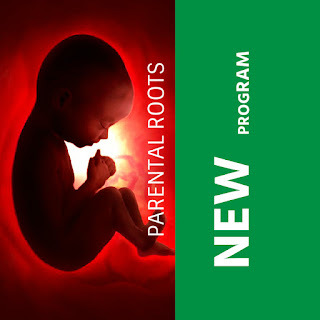 We have a Core identity our child within which is the original person born in the body. Through repeated trauma, if the defences of numbing and dissociation have repeatedly been used, the authentic self The Child Within, our core, the identity may become out of reach and its existence even forgotten. But as long as the body lives, the Child Within is alive, although parts may be cut off from the Child Within, or may have been led to believe the Child has died. The Child Within is the age of the body and usually goes by the birth name or nickname, although that is not always true.It took us a long while to accept the existence of a Child Within. We could not feel our child, see him/her, or hear the child within. Some of us were convinced they we had witnessed the Child within dying. Be aware, this is never true – the Child Within CANNOT die, if the body does not die. The Child Within can experience near death, and be unconscious, but it is STILL THERE. truth. We have been asked how the Child Within can be recognised. 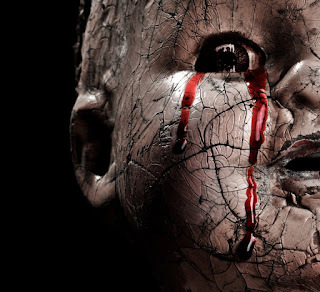 If you have watched a baby for a while, you will readily see the Child Within unless the baby has already experienced extreme trauma. Internal rules can point to the existence of the Child Within. If you cannot find your Child Within, ask yourself what rules all parts inside obey. 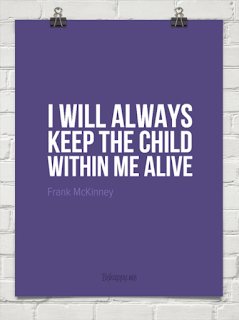 A common one for survivors is “No outside children may be harmed”. 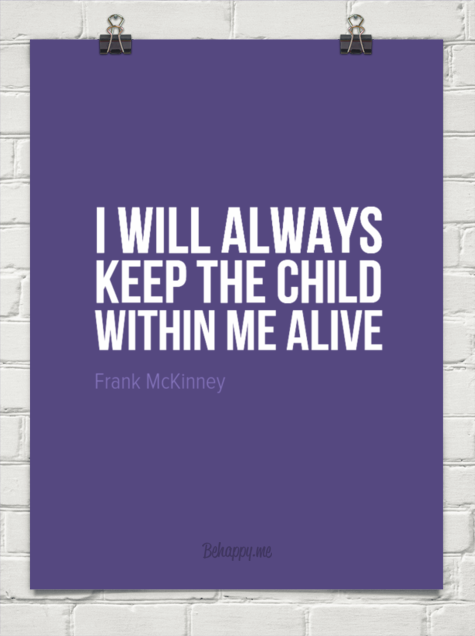 Another principle of ours has been that no matter how much we don’t want to, we will stay alive for our children. These rules or principles that apply across the board obviously must originate from some central part of us. What is that central part? characteristics no matter who we feel like inside. The cause can be triggers when we are subconsciously reminded of something from our past, it can be difficult emotions, it can be boredom, it can be relationships we are not sure how to handle, it can be social situations – the causes seem endless. Any time we do not live in the present, in this moment and our life. We could still guide them, but it had to be at one step removed so that our own, original personality, the Child Within, did not show to take care of daily business. Labels: Coming to a realisation to believe that we remain addicted even if we have stopped our behaviours for many years. That our real addiction is to our dissociations escapist behaviour. At the core of the ten stages is our conception, that deep within we are perfect. We are born imbued with truth, a spark of the divine. 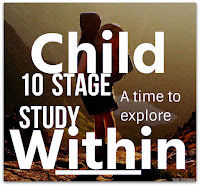 Title: At the core of the ten stages is our conception, that deep within we are perfect. We are born imbued with truth, a spark of the divine. At the core of the ten stages is our conception, that deep within we are perfect. We are born imbued with truth, a spark of the divine. And no matter what happens to us on our life’s journey, at the core of each of us remains a true and perfect self. We recognise and call The Child Within. This is one of the mysteries of life and also one of the saving graces of human existence. No matter what traumas we endured during our childhood, even during our troubled days in the womb, our core remains inviolate, untainted, sacred, and pure. 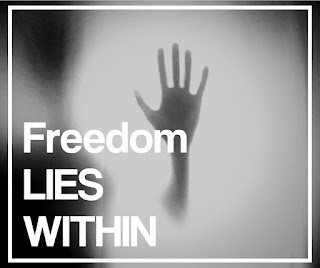 If we remain subject to the damning, fearful, and coercive parental voices housed in our child within since childhood, we have not found our true voice or our true identity, but remain a reflection of those who wounded and attempted to control us. To embrace the truth of who we are we must each break from our parental voices, individuate, and become our own person—aligned with the truth that runs through ourselves and out into all things. Emotionally Brutalised by our experiences of dissociation at an early age, that has lead us into the jaws of addiction causing rejection of family, friends and society. This is not easily overcome, and is much more easily internalised. We can’t underestimate this trauma and its profound effect. This explains why we act out in so many self-destructive ways. To know the pain of the past and integrate its torture is terrible work. 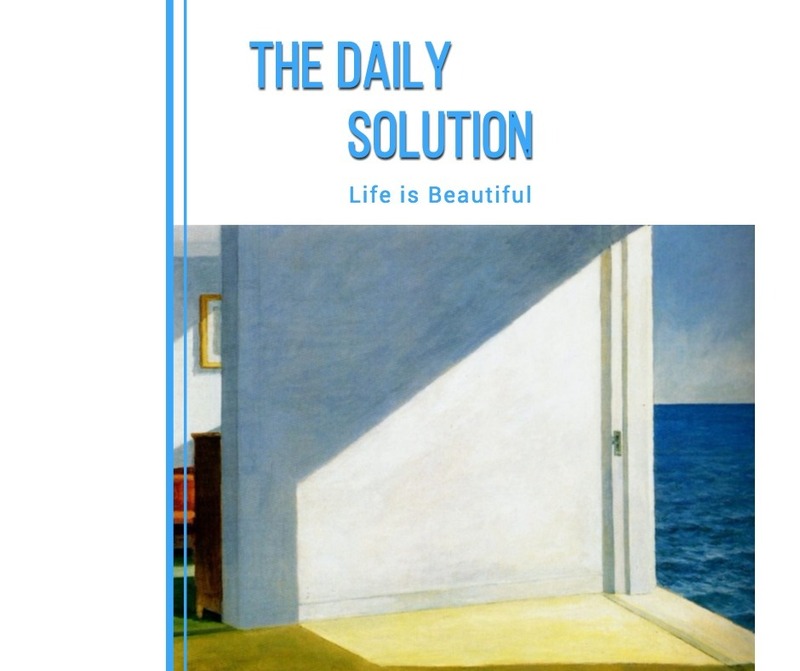 Yet, not to get beyond our pain and instead simply to act out our traumas or sink into conformity, depression, addiction, and conventional living destroys our gift as outsiders and truth seekers. And we deceive ourselves when we call criticism of our bad behaviour addiction. Society may fear us and even hate us, but we can help to redeem them—and us all. Everyone can use our cathartic process of recovery as a paradigm for the profound change required for all of us if we are to survive. We need to come out of our dissociated sleep and change our addiction orientation into our orientation to life itself in this new form of recovery. Being unaware of the ten stages is like being a pin cushion to a sensory stimulation bombardment that exists all around us. The images, the colours, the words, the sounds, all attempting to grasp at and hold us locked into our constructed shadow selves where one's worth and needs drive all the actions of our machine like existence. All the while, we tenuously believe everything to be of our own suggestion and doing, that we are autonomous and free. Only the conscious child within can see the wild dance of the modern world for what it is, and go beyond the stimuli to reach into the higher plains of their existence. Ten Stages has found that we cannot examine the workings of our mind from afar, if we are unaware of how our mind's continual thought-streams of low-presence grasping thoughts that has us trapped in a non-reality or an illusion of constant dissociation. Then we are unaware that we suffer from an illness that affects the many individuals that make up the whole of this system, and it is a sickness whose symptoms reveal themselves as minds racing to nowhere, rambling over and over and upon themselves to the point of madness, and that usually end up creating or inviting negativity onto themselves and those around them. The deep Illusions that leads to dissociation addiction explained: Although society and most people – and of course popular music – hold being “in love” as the ideal state of human existence, they are all deluding themselves, literally. Being in love is little more than the state of transferring onto some new person – our “love object” – all our repressed childhood hopes that our parents will finally come to rescue us. This hope, which is the root of all addictions, is so intense that if we actually believe that it can be fulfilled it sends us into the deepest emotional orbit, more intense even than heroin. No wonder most of us desperately strive for it.But instead inherit the hole in the soul of no emotional maturity just the constant longing for love fulfilment and its next addictional fix. A constant bargaining with a love delusion dissociation.This societal programming has to be reversed so that self worth and self love can sprout into the happiness we so richly deserve instead of the delusion of love dissociation slavery.The Ten Stages addresses this problem of love slavery during its meetings tracking and exploding the myths of romantic love. The Ten Stage message is based on loving-kindness and compassion for our individual truth and it has worked in this trying year in which I have experienced strokes, kidney failure seven heart attacks, two close encounters with death and the fitting of a heart pacemaker. I secretly doubted this program yet I amazed the hospital staff by using no pain medications and making speedy recovery regaining the use of my hands, speech and sight my faith has deepened and I know this works beyond our wildest dreams for everyone.Is it difficult no it is not. Title: The Ten Stage message is based on loving-kindness and compassion for our individual truth and it has worked in this trying year in which I have experienced strokes, kidney failure seven heart attacks, two close encounters with death and the fitting of a heart pacemaker. I secretly doubted this program yet I amazed the hospital staff by using no pain medications and making speedy recovery regaining the use of my hands, speech and sight my faith has deepened and I know this works beyond our wildest dreams for everyone.Is it difficult no it is not. 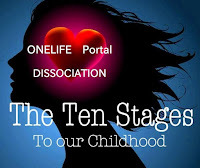 When we hear the truthful strong messages in the ten stages we become shocked, defensive our childhood experiences weren't that bad we say because we have been used to being deceived and told how grown up, adult and smart and wise and enlightened and healthy we already are? We are actively encouraged being told it was just fine for us to have our children. We have become used to being told that our abuse of our children is not really abuse and that our conditional love for our children really was love. We have become used to being told that our own lies and insanity are actually perfectly healthy and normal. We are used to listening to false gurus and old prophets when we have problems. We are used to being told that our mindless behaviour was wise, and that we are doing the right thing by building a wall between our consciousness and the wrenching pain of our true, deep spirit of our child hidden within. We have become very uncomfortable that the ten stages would dare to contradict everything we hold dear. Challenge our so-called recovery vision, yet the ten Stages message resonated with us on some deep and long-forgotten level. We are not used to hearing the truth. It makes us curious. And it also makes some of us violently reject this message.I was one such person but this is a course of study and experiential loving action with all others.It is based on loving-kindness and compassion for our individual truth and it has worked in this trying year in which I have experienced strokes, kidney failure seven heart attacks, two close encounters with death and the fitting of a heart pacemaker. I secretly doubted this program yet I amazed the hospital staff by using no pain medications and making speedy recovery regaining the use of my hands, speech and sight my faith has deepened and I know this works beyond our wildest dreams for everyone.Is it difficult no it is not. Can you make it simple? This is the question asked. The problem is that it is very very simple because its written by a child within. Title: Can you make it simple? This is the question asked. The problem is that it is very very simple because its written by a child within. It’s not over. It’s not too late to join us. And what’s to come can be so magnificently simple, if we can but know that we are guided in every moment and learn to trust that guidance of our freed intuitive voice. We have come to think think it’s a dance between our shadow self, a grown up self and our child within. 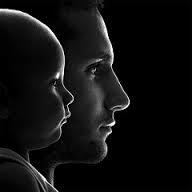 That is to say, our child within and our now aged human body. Our Child Within is Infinite, and yet we are limited. The play between these two co-existing realities creates the friction that can move life excitingly forward. We aspire, we aim to better ourselves, to reach a higher level – not because of the success of money, but rather because – whether we know it or not – we aim to embody our Child Withins potential here on Earth. That potential is nothing short of Infinite. That our child within is the embodiment of Love. That potential means we are free. That potential is connected to ourselves and others. That potential knows that we never walk alone and that we are indeed truly limitless. Yet – at the exact same time, we are limited. We are fragile. We are imperfect, broken at times and not connected. 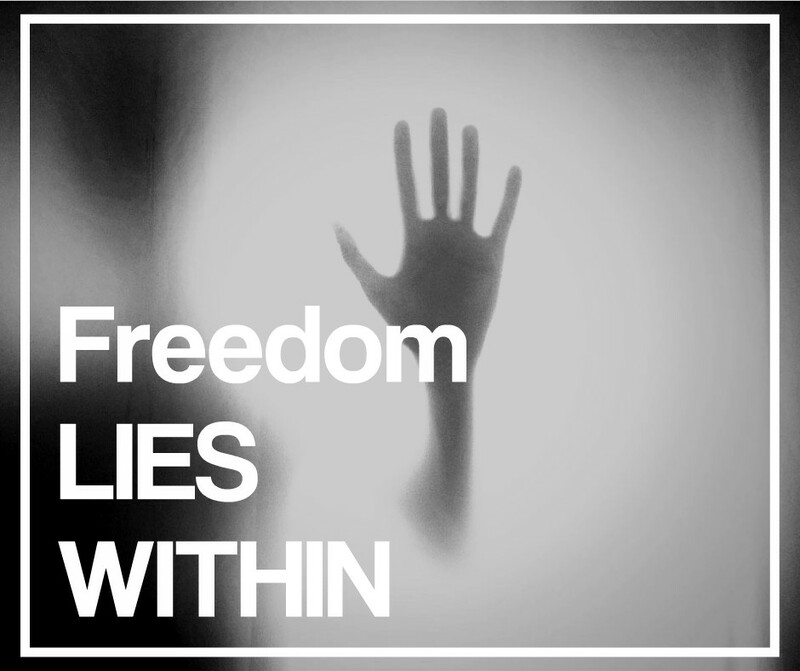 We are not free. It is the purpose of life to reconnect to our Child located within in what seems to be a limited life. To do this, we must begin to see the circumstances of our lives with the new eyes of our child within. We can choose to see that, even in hardship, we can find our Child hidden within. When we find our Child, we can know that we are not alone. Our loneliness is our Child calling us. And that instead of medicating our pain in dissociation , to face it. We can find ourselves stuck. And we are stuck because we are not honouring this calling out of our Child. The way to honour our child is not just with green juice dissociation, gluten free food and yoga – but with our courageous contact. The fear of truthful action directed by ourselves that terrifies our mind. If we want to look at what we really know, look inside our actions and dissociations. Knowing something and understanding something are two different things. Let’s switch from understanding to embodying our child withins calling. Take that risk. Trust ourselves. Love ourselves. Embody our Child Withins calling. Take risks on behalf of our Child. We will become intuitively guided; we are and naturally have power and authority. The best is truly yet to come if we can but trust our intuitive voice. When it feels like nothing is happening, know that many times our Child is silently working within us before we can see anything change externally, but others can. Get in Contact. And know that in this moment – we are exactly where we’re supposed to be. Labels: Can you make it simple? This is the question asked. The problem is that it is very very simple because its written by a child within.